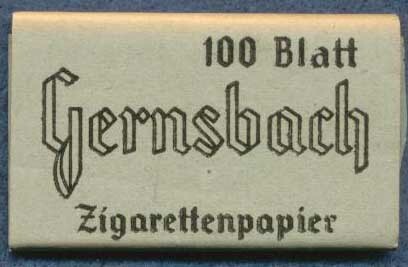 I have run across a small stash of German cigarette rolling papers in my collection. A neat item that will not cost you an arm and a leg. 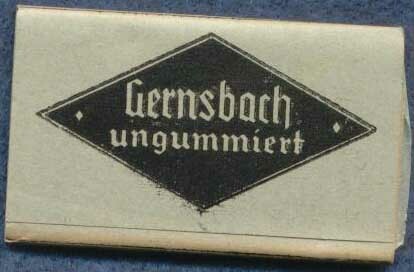 They are marked Gernsbach Zigarettenpapier on one side and Gernsbach ungummiert on the other. It looks like they were manufactured by Schoeller & Hoesch Papierfabrik in Gernsbach. Each packet contains approximately 100 rolling sheets. The packets are in good shape and only show storage wear.